For Audrey (Mila Kunis), the only thing worse than getting dumped by text message right before her thirtieth birthday – which also happens to be her one year anniversary – is only hearing from her ex-boyfriend after her best friend threatens to burn his stuff, and discovering that the one thing he seems to care the most about is his fantasy football trophy. 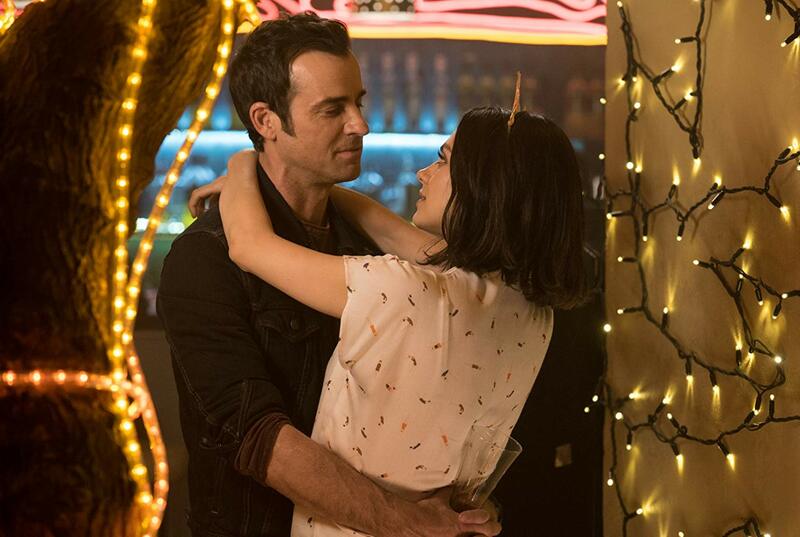 Of course, little does Audrey realize that the trophy isn't really the end result of her ex Drew (Justin Theroux) trading names with friends on the computer but is of actual global importance if, that is, she manages to get it to the right people in a cafe in Vienna. 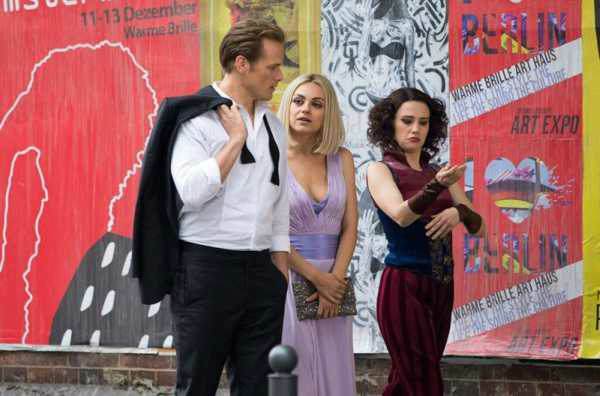 Told this by Drew in the middle of a gunfight which breaks out early on in Susanna Fogel's The Spy Who Dumped Me, Kunis's stunned Audrey serves as the stand-in for the audience. Although as we watch her process what – without the backdrop of a fast-paced shootout – would otherwise have been a pretty blunt expository "info dump," we realize we might be a few steps ahead of her. Given a cover job as a hybrid jazz and economics themed podcaster that's just boring enough that Trader Joe's cashier Audrey wouldn't have given it a second thought, the imperiled spy who dumped our straight-laced lead manages to persuade her to take the film's Hitchcockian MacGuffin trophy and run... along with her uninhibited, oversharing best friend Morgan (played by Kate McKinnon). While obviously there's nothing quite like carnage in your own kitchen to convince you to flee, in Audrey's case, Morgan's question, "Do you want to die having never been to Europe?" serves as the ultimate selling point. Unfortunately for Audrey and Morgan but enjoyably for us, more near-death experiences await them in Europe as Spy morphs into a much better action movie than a comedy, thanks to some inventively choreographed sequences boasting the same stunt coordinator behind Jason Bourne and Mission: Impossible in the form of Gary Powell. Admirably keeping up with the action (at least for a little while), McKinnon tosses off the quick-witted one-liners written in Fogel and David Iserson's script as well as she improvises her own and shines alongside the affable Kunis in these moments of fast-paced situational comedy. And this is best epitomized in a scene where – following an outrageous shootout in Vienna – backseat driver Morgan asks Audrey why she's using a turn signal in the middle of a car chase since she's literally telling the people after them where they're going. 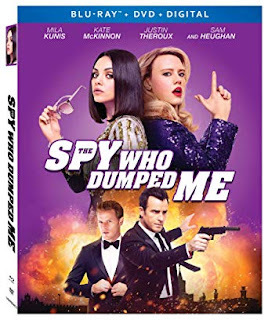 At her strongest when given clear direction and fully focused on the events at hand, while McKinnon's flighty friend provides Spy with some moments of levity throughout, far too often the gifted comedian distracts viewers rather than makes us laugh by spinning off into ridiculous tangents. 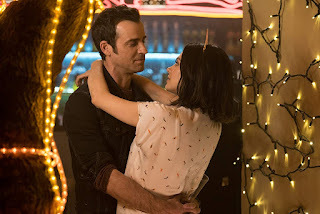 Perhaps enjoying the performance in the moment as opposed to worrying about how it would all flow together onscreen, although it's clear that Fogel has a soft spot for Morgan (as we do too because it is, after all, McKinnon), from the end of the first act, Morgan begins to get in the way of the plot. 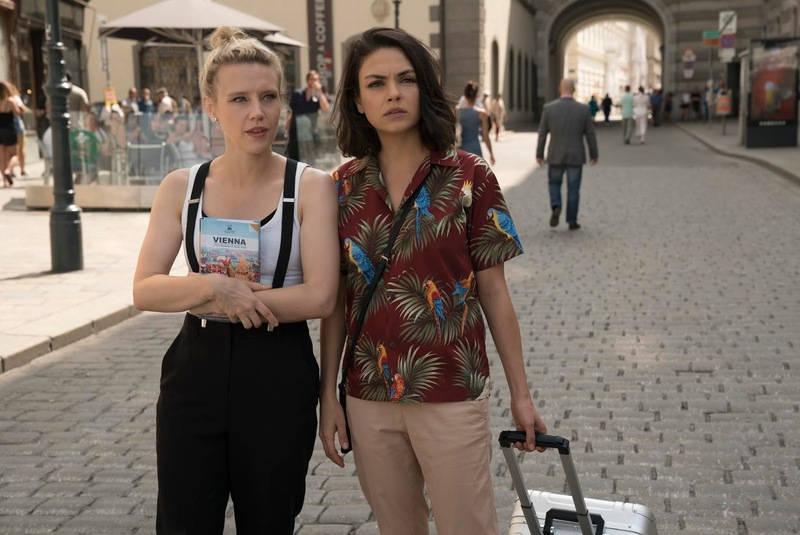 Further straying from course, rather than serve up a cool, classy female-centric comedic spin on a globe hopping spy tale, The Spy Who Dumped Me's overreliance on unnecessary scatological humor to appeal to the lowest common denominator needlessly bogs it down from time to time. 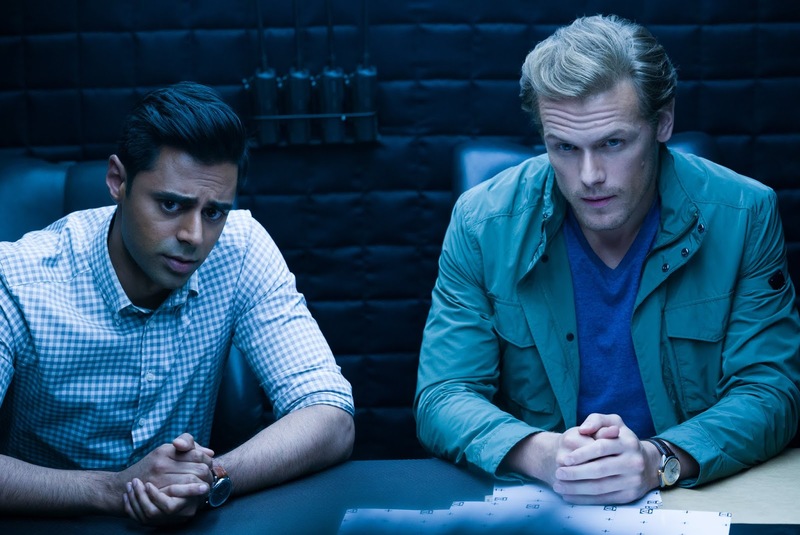 Yet, wise enough to put the friendship of these lovely ladies first, from the bullets flying overhead to the ex-boyfriends who cross their path, Fogel doesn't let the women get sidetracked by anything for long, which includes costars Sam Heughan, Hasan Minhaj, Gillian Anderson, Jane Curtin, and Paul Reiser. While not nearly as effective as James Mangold's woefully underrated Knight and Day with Tom Cruise and Cameron Diaz or Paul Feig's sequel worthy Spy with Melissa McCarthy, it's still refreshing to see two female outsiders work together in an action movie rather than turn into rivals or be relegated to date bait. Though eager to see the filmmaker helm more solid action movies in the future, for Spy's sake, I wish Fogel and company could've spent as much time choreographing moments of genuine, well earned laughter as they did executing the perfect stunt. Ideal at home or as escapist airplane entertainment when you just want something mindless to watch to pass the time, while my current favorite Saturday Night Live star amuses less than she annoys, she helps buoy her costar all the same. And as such, Fogel's film offers further proof that – especially when employed as a relatable comedic foil to a wackier sidekick – Kunis is an ensemble comedy MVP who viewers will follow like a turn signal in a car chase.